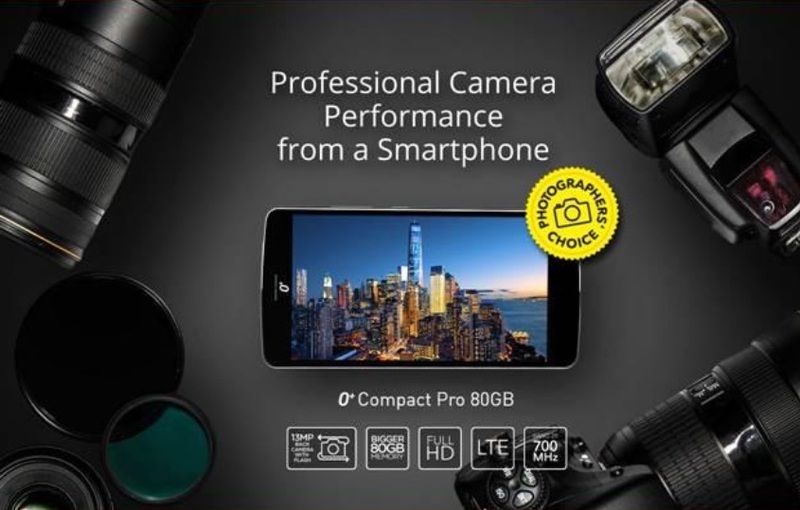 O+ USA announced earlier today their newest smartphone offering, which, according to O+ gives a professional camera performance, the O+ Compact Pro 80GB. The O+ Compact Pro 80GB sports a scratch-resistant display that measures 5.5 inches diagonally, has 1080p resolution and IPS panel for a clear and crisp viewing experience. Under the hood, it is powered by a 1.3GHz octa core processor coupled with 2GB of RAM, the chipset is not yet disclosed, but most likely it will be from MediaTek. Meanwhile, the storage is the same with the last four characters in its name - a 16GB internal + 64GB free micro SD card. In terms of imaging capabilities, there is a 13MP main shooter on its back with f/2.0 aperture, backside illumination technology and accompanied by a dual LED flash. On the other side, the front facing snapper comes a 5MP sensor and a wide angle lens. 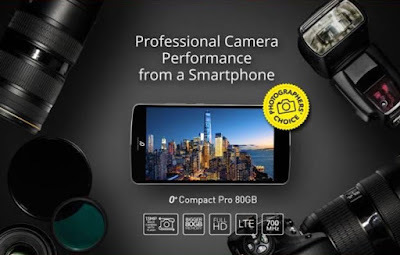 O+ dubbed them as "Dual Ultra HD Camera", and claims that they can provide professional-grade performance, but of course, that remains to be seen. The other major specs are dual SIM with LTE connectivity including FDD Band 28 or commonly known as 700MHz frequency, micro USB with on-the-go function, 3,045mAh embedded battery, and runs on Android Marshmallow. It has a retail price tag of Php11,395 and comes with a free JBL headset.